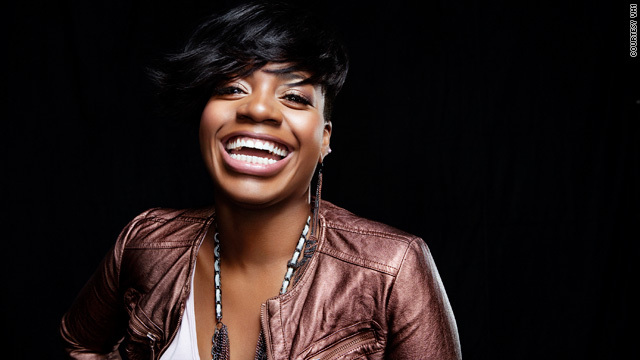 "American Idol" season three winner Fantasia is starring in a new reality show, "Fantasia For Real." (CNN) -- There are many rumors floating around about "American Idol" season three winner Fantasia, but there is one that really, really bugs her. "The one where people said I was losing my house to foreclosure," the singer said. "I've always been a hard worker and I've always busted my tail to make sure me and my family have a roof over our heads." For the record, she says she still owns both her mansions in North Carolina and is doing better than the blogosphere would have the world believe. The past few years have been busy for her. She's starred in the Broadway musical version of "The Color Purple," released two albums and dodged talk that she was difficult to work with and flat broke. Not that it is hard to imagine the artist having financial problems. As documented by her new VH1 reality series, "Fantasia For Real," which premiered on January 11, the powerhouse singer has taken on the responsibility of supporting her family, including her siblings, mother and her 8-year-old daughter. The show marks the first time Fantasia has come into viewers' homes weekly since winning "American Idol" in 2004. She says she welcomed the opportunity to let the public get to know her on a more intimate level as she works on a new album and her career. The Broadway star recently spoke to CNN about some of the betrayals she's faced in show business, why she doesn't have Simon Cowell to thank for paying her bills and why she could still be the most successful "American Idol." CNN: The first question has got to be, why would you agree to do a reality show? Fantasia: People say "Why do you want to put your business in the street?" but from day one my business has been in the street. I've always been an open book. There were a lot of things going on in my world that were bad, a lot that was good and there was a lot floating around the Internet, TV stations and radio stations about Fantasia. I felt like why not let everyone hear it, as my grandmother would say, from the horse's mouth just like I did when I did my biography and when I did my Lifetime movie. CNN: Do you want to set the record straight about what happened with the financial issues and the foreclosure? Fantasia: The show will set the record straight. I am still in my house, it wasn't a foreclosure and no, Simon Cowell did not help me pay any of my bills, though I thought that story was cute. At the time I had a lot of different lawsuits, people just trying to come after me and for awhile I went without management. I did have a lawyer, but I guess, I don't know if it was a money situation or the lawyer just had too much on his hands, I don't know, but he wasn't showing up for court. Mind you, I've always been a rebel, but I've never been in and out of the court system so all of this court stuff was new to me. When papers were being served, I would call the lawyer and he would say "Everything is fine on this end, just keep doing what you are doing," but really it wasn't. The courts put both of my homes up for auction, so there was no foreclosure. It wasn't that we weren't paying the bills or didn't have money. I guess when people heard I was doing "The Color Purple" [on Broadway] they thought I had "Color Purple"/Oprah Winfrey money. CNN: That must have been difficult. Fantasia: All of these cases came out of nowhere and it was people I used to be signed with who did me wrong in the first place. I think that's what hurt the most, that it was people who had already wronged me once before and I couldn't understand that they would come after me again for money. I always say money is the root of all evil and I don't live my life for the dollar. If something were to happen to me, I can't take any of this with me. At the end, when we thought we were going to have to pack up and move, they finally settled. And it wasn't a small amount of money they settled for either and that all came out of my money. No one gave me that. CNN: You are very open on the show about the fact that you support your family. How much does that weigh on you? Fantasia: Think about it: I'm 25 years old. Most 25-year-olds are traveling or in school, hanging out with their friends. I'm not that normal 25-year-old. I'm a single mom, I'm a sister, I'm a daughter, I'm a best friend, I'm an entertainer, I'm an actress. I am all of these things in one. For so long I wasn't able to live my life for me because I had so many responsibilities and so many people looking to me. It was an overload and so much stress. Thank God I have a praying family, people praying for me and I am a praying woman that I didn't turn to different things. That's why I never judge celebrities when I see them ending up on some type of drug or alcohol because I really see how that can happen. At the end of the day people don't really see what you are going through every day, they just hear about the drama and the hearsay. I just thank God that I didn't lose my mind during all that transition of bad management, bad accounting, lawsuits, family situations, the record company not acting right. ... It all could have been over for Fantasia. CNN: For fans of the show I have to ask, how do you put up with your brother Teeny's mess? (The show features Teeny's reluctance to abandon his dreams of a music career for a full-time job and he and Fantasia are sometimes at odds). Fantasia: (Laughs) We have been a very tight-knit family ever since I was 5 years old. I always tell the story of us always singing together, traveling as kids. We have just learned to realize that we all have different personalities. Teeny is just that one who feels so left out sometimes. He feels like me and Ricco (Fantasia's older brother, who is also in the music industry) have just gone on and left him and that can be hard on kids who grow up singing together. I deal with him better now because he used to just show out and I would just be like "Here, just take it and get out of my face." Now I let him know, "Look I'm grown and you are grown, so if you are mad just go off and get yourself together and we will talk when you get yourself together." I raised up a standard to say no more. CNN: So many people expected you to be the biggest "American Idol" ever. Are you disappointed at all that your career has not been as huge as so many anticipated? Fantasia: I'm not disappointed at all because my time's not up baby. I'm only 25 years old and I don't plan on going anywhere anytime soon. I feel like everything I've been through has made me the tough cookie I am today. I've done Broadway, I've done a movie, I wrote a biography and a lot of other things I never thought I would do.